Get Wild in the Great Indoors! In the mood for a picnic, but worried the kids may melt? How about moving the party indoors, with some not-so-wild, wildlife? If you haven’t yet checked out “The Best Free Attraction in Las Vegas,” it’s time! 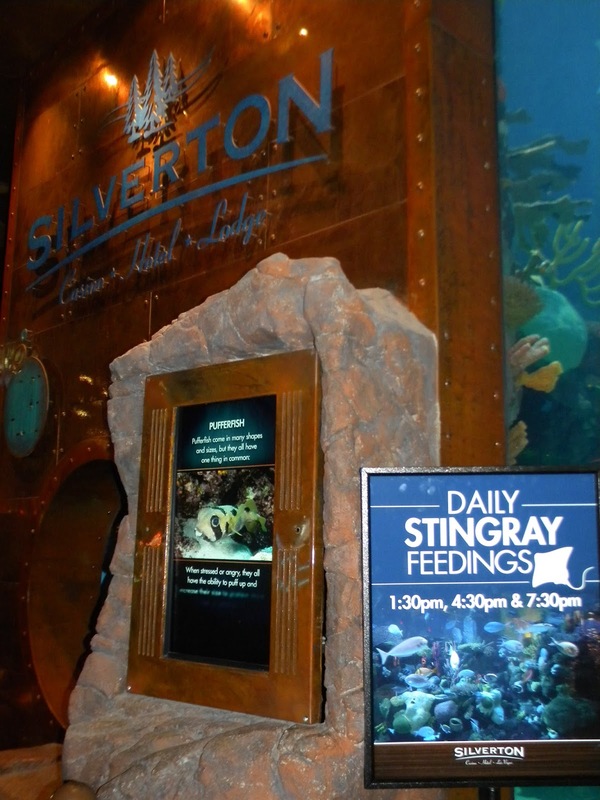 The aquarium at the Silverton is beautifully maintained and offers some fun educational perks. If the kids get into The Little Mermaid, this is a must. 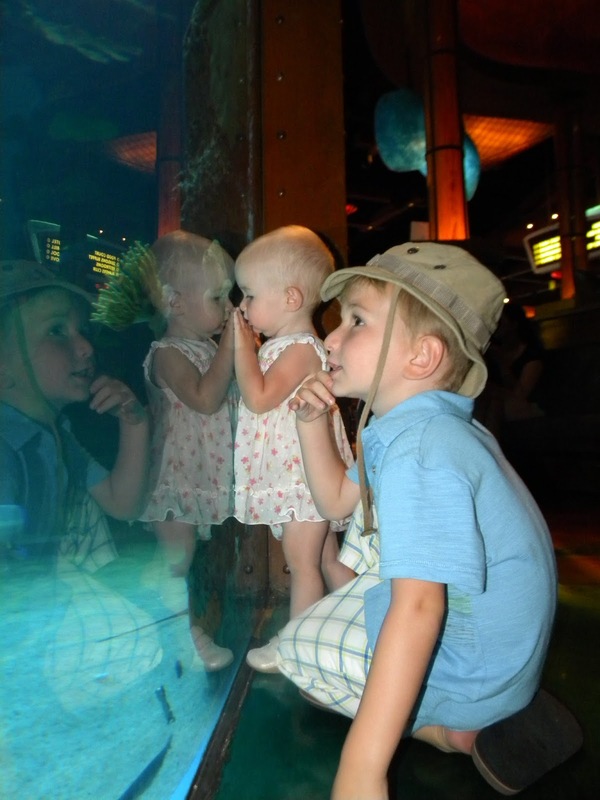 The mermaid shows are fun for the little ones and if you time it right, you can catch the feeding show on the same visit. Check their website for up to date show schedules, as they do change seasonally. The shows both feature divers that interact with the crowd from inside the tank. The feeding shows also feature a knowledgeable docent that helps field questions from the audience. Get there a bit early to get the kids up close and personal. We like to pack a low-mess lunch to enjoy tank-side while playing “I spy.” My 14-month-old Little Bug even gets in on it, pointing at every pretty critter that happens by. If you go in the evening, you may want to round out the evening with dinner at one of their restaurants. We had great luck at the Seasons Buffet (checkout what yelp has to say). Want an extra dose of educational fun, but lacking in the Marine Biology department? Camp-out near the scrolling informational kiosk (see first pic). Read the posts and then go “fishing” for the finned feature! Need to spice it up a bit, or keep the kids busy a little longer? Try out our Mommy Vegas Printable (MVP) Scavenger Hunt! Happy fishing… and hunting too!